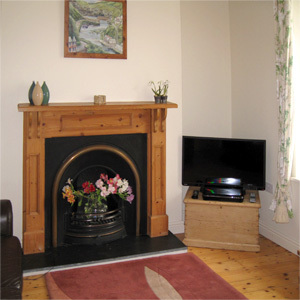 Our cottage is part of a charming conversion of an early 1900’s coach house in Boscastle. 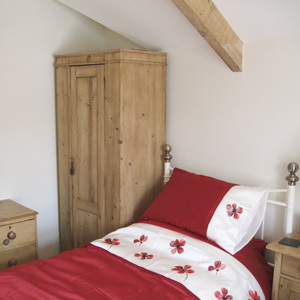 It’s a fully equipped, self-catering cottage with two bedrooms, living room, dining room and kitchen. The cottage is situated in a quiet neighbourhood and just a short walk away from the South West Coast Path. The famous harbour, shops, restaurants and pubs are also all within walking distance. Boscastle is a historic village in North Cornwall, renowned for its harbour, the Boscastle Coastwatch Station, its historic buildings and the beautiful scenic countryside. The River Valency flows into the Atlantic Ocean, creating a natural harbour in the river’s valley. Most of the village is built on a plane above the valley. Boscastle and its lovely countryside are worth a visit all year round with each season offering some magic of its own. 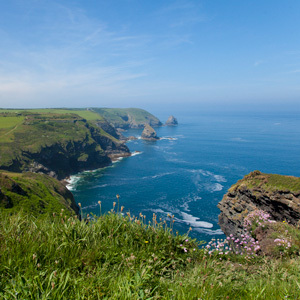 Boscastle is ideally placed to explore the North Cornish coast. 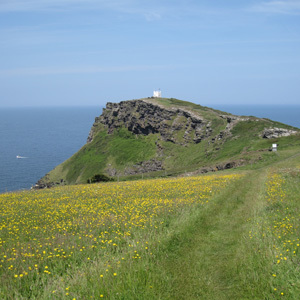 Hikers and birdwatchers will enjoy the stunning cliff top scenery, great walks along the South West Coast Path, and the wildlife. There are many National Trust properties, and English Heritage sites to visit, especially the magical castle ruins of Arthurian fame at Tintagel which is just a couple of miles along the coast. 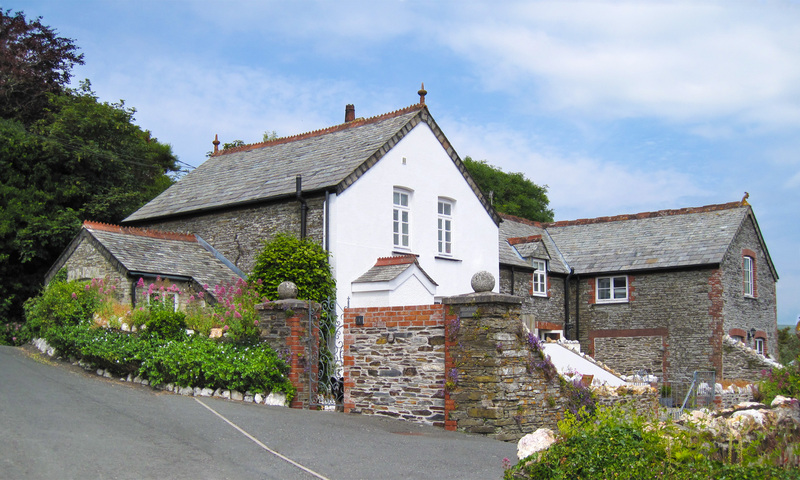 While it can get a little crowded in places like Tintagel, Boscastle and the surrounding areas are ideal to get away from all the buzz and stress of everyday life, at the same time offering great pubs once you’re ready to dive back into the crowds. Start your day with a walk along the South West Coast Path down to the harbour and treat yourself to a full English breakfast, or to a vegetarian snack at the Harbour Light Tea Garden, or, when in season, to one of the best fresh crab sandwiches you’ll ever have. Afterwards, explore the harbour, or go on one of the walks along the coast, or drive to one of the attractions nearby. Wrap up your day in one of the local pubs, and on a Tuesday night, you don’t want to miss the iconic Boscastle Buoys at the Napoleon Inn, great Cornish songs and a lot of fun. If you are looking for a quiet base for your family holiday, Melbourne Cottage is the place to stay. In addition, the coast offers beautiful, safe, sandy beaches, which are perfect for family seaside holidays, swimmers and surfers alike. Read about the facilities / features in our cottage. 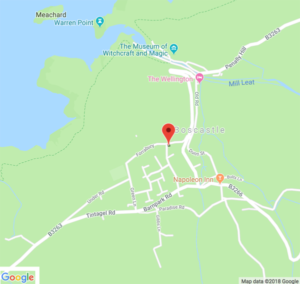 Discover Boscastle and some nearby attractions. See images of our cottage and the local area. Read reviews of the cottage left by our guests.